ISLAMABAD: The Federal Cabinet in its meeting in Islamabad under the chairmanship of Prime Minister Nawaz Sharif has approved extension of Afghan refugees in the country till 17th March next year. Addressing the meeting, the Prime Minister said Afghans are our brothers and very dear to us. Adequate and concrete steps will be ensured for facilitation of Afghan Refugees living in Pakistan. “They are our guests and their return plans will be decided in a way that does not create any negative impression in the minds of people living on both sides of the border,” PM Nawaz Sharif said. The Prime Minister directed the Ministry of States and Frontier Regions to hold broad based consultations with the national leaderships of mainstream political parties and Afghan representatives for addressing the concerns of Afghan refugees. He said we would not allow that Afghan refugees living in Pakistan to be terrified in any way. 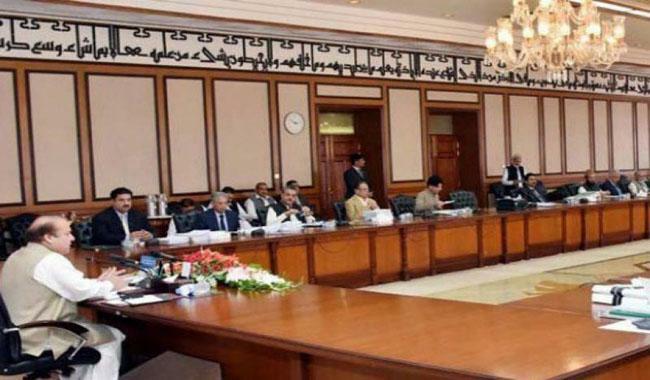 The federal cabinet has also approved the Land Acquisition for Diamer-Bhasha Dam and Compensation Rates of Barren Land. Prime Minister said that construction of mega Hydel projects would greatly help in fulfilling the energy needs of the country along with mitigating the hazards of floods. “Government is determined and focused on resolving the energy issues confronted by Pakistan. Our plans include execution of short, medium and long-term projects in this regard,” he said. The Prime Minister said transparency must be maintained in the distribution of compensation money to the affected people of Diamer-Bhasha Dam. He said the government has arranged the finances for Dassu project through World Bank and all the required measures are ensured for the construction of Diamer-Bhasha Dam. The Meeting also approved signing of Protocol to Amend the SAARC Limited Multilateral Agreement on Avoidance of Double Taxation and Mutual Administrative Assistance in Tax Matters.